Once again, it’s time to make plans to ring in the New Year—and Long Island is one of the best places to celebrate in style! From the extravagant and elegant to simple down-home fun, we’ve assembled a complete guide to New Year celebrations all across the Island. No matter how you'd like to ring in the New Year, or who you plan on celebrating with when the clock strikes 12, we have something for everyone to enjoy this New Year's Eve - so don't miss out. Get out there, and enjoy saying goodbye to 2012, and welcoming 2013 to Long Island! $115 per person, all inclusive. The Inn and Spa at East Wind invites you to bring in 2013 in grand ballroom style! Festivities for the evening include an extensive international buffet,5 hour premium open bar, champagne toast at midnight, party hats, noisemakers, and horns. Dance away the night with DJ Long Island Sound Entertainment. Live TV Simulcast from Times Square. Must be 21 and over, ID required. “Stay the Night” package is also available. $130 per person, all inclusive. Enjoy a magnificent buffet in the Lombardi tradition of fine cuisine and elegant dining, a premium five-hour open bar, champagne with fresh berries upon arrival, and live DJ entertainment featuring In the Mood Productions. 2-Night Package: $310 per person. Gurney’s Inn presents its 50th annual New Year's Eve party, “From Montauk With Love”, celebrating 50 years of James Bond with the Joe Delia Orchestra and DJ all night long. The evening begins with a one-and-a-half-hour cocktail party that includes a seafood bar, pasta station, and hot and cold hors d'oeuvres. A five-course sit-down dinner, including Gurney's famous Viennese dessert table follows. Top-shelf open bar all night, door prizes. Polar Bear Plunge on New Year’s Day. $85 per person, plus tax & gratuities. Enjoy a delicious buffet dinner, five-hour open bar, champagne toast, party favors, countdown festivities and music by DJ Joey Jammz. New Year’s Eve Hotel package also available (starting at $449, plus tax and gratuities), including luxurious overnight accommodations, a four-course dinner for two, a full American breakfast buffet on New Year’s Day, and late check out. Dinner: 3:30PM – 7PM $45 per person + tax & gratuity. Open Bar and Buffet: 9:30PM – 1AM $75 per person + tax & gratuity. Looking for a fabulous all inclusive party to go to this year, but don't want to break the bank? Jackson Hall is serving up a savory selection of hors d'oeuvres, appetizers, delicious main courses and of course lavish deserts. Party all night long at the open bar and buffet! Enjoy accommodations amid the breathtaking hilltop vistas of the Atlantic Ocean, Gardiner’s Bay, and Block Island Sound and a New Year’s Eve celebration that includes a one-hour cocktail party, dinner, dancing, a champagne toast at midnight, and a five-hour open bar. Buffet breakfast served on New Year’s Day. Package must be reserved in advance and is limited to availability. First night for two $125, additional night for two $99. Enjoy beautiful accommodations in a harbor side room with premium wine tasting at Wolffer Vineyards and a complimentary breakfast for two. Ring in 2013 Sag Harbor Style! $109.95 per person, includes service. Bring in the New Year at this beautiful lakeside location. Festivities include entertainment by DJ Frankie playing the sounds of yesterday and today, appetizer and salad combo, grand international hot and cold buffet dinner, carving block, gourmet desserts, and more. Premium open bar, champagne toast at midnight, party hats and noisemakers and large plasma TVs for live New Year’s countdown. Special prix fixe menu to celebrate the New Year. Tavern menu available a la carte. Seatings from 4pm – 8pm for ala carte dinner. Late seatings from 9pm – 11pm for $125 price-fixed four-course dinner. Bring in the New Year with DJ dancing after 10pm and champagne toast at midnight. $195 per person, all-inclusive, with advance reservations & payment required. Enjoy a three-course dinner, champagne toast and premium open bar in the hotel’s grand ballroom. Live music will be provided by Hank Lane Music & Productions, featuring rock, hip hop, '80s, dance, and top 40 music for an evening of dancing and celebration, followed by a televised New Year's countdown to midnight. A New Year's Eve Overnight Extravaganza package is available for $730.46 per couple (inclusive of all taxes & service charges). The package includes the ballroom gala, overnight accommodations with hot breakfast & buffet served in Societe Suite 9:30 am – 12:30 pm on New Year’s Day. Guests may also book the hotel’s award winning brunch for an additional $100 per couple. Full cocktail hours, sit-down dinner with dessert, premium open bar all night, champagne toast at midnight and live DJ entertainment. Stay overnight at the Inn and receive a chilled bottle of champagne &two commemorative champagne glasses upon check-in and a full American breakfast buffet on New Year’s Day! $79.95 per person plus tax & gratuity. Ring in 2013 at Domenico’s, a family owned and operated restaurant since 1967. Come with family and friends to enjoy a delicious five-course meal, open bar, champagne toast, DJ, hats & noise makers and lots of dancing!! Call for reservations. Admission: $85.00 in advance; Door Price $89.00 cash. Enjoy an exciting, romantic New Year's Eve just for singles at the Marriott in Plainview. Suggested seating by age group. Date match cards to make connections. Appetizers 8:30-9:00pm, 9pm open gourmet buffet dinner featuring chicken, steak, seafood and pasta. Soda with dinner (cash bar) and coffee/tea with desserts. DJ dance party all night long to welcome in the New Year. Party favors, noise makers, hats, balloons! Midnight champagne toast + free raffle door prizes! Welcome 2013 at CMPAC’s New Year’s Eve Gala. Festivities include hors d’oeuvres, wine, and beer, followed by a 10 pm cabaret featuring some of Long Island’s favorite performers. A hot buffet dinner follows the cabaret. Satellite broadcast of the Times Square countdown with festive a champagne toast. More great cabaret performances will follow along with dessert and coffee. Laugh in the New Year once again at Theatre Three! An outrageous evening of LIVE stand-up comedy featuring top comedians direct from the Long Island Comedy Festival! Don't miss what's being called the BEST New Year's celebration on Long Island! Reserve now this event sells out completely! The Long Island Philharmonic presents “The Great American Songbook” with music by George Gershwin, Irving Berlin, Richard Rodgers, Cole Porter and much, much more. The performance will feature a special tribute to Marvin Hamlish. The Custer Institute and Observatory, Long Island's oldest public observatory (est.1927), invites you to celebrate the passing of the old and to welcome in the new under the stars. Enjoy the observatory, its resources and refreshments! Be part of the celebration at this premiere 49-lane concourse and enjoy bowling, including shoe rental, hot hors d’oeuvres served laneside, party favors, live DJ, three-hour open bar, complimentary bottle of champagne. Package Two: $100 per person. Enjoy all of the offerings of Package One, plus a breakfast buffet served from 12:30 am – 2am. Prices exclude tax and gratuity. Min. four guests per reservation. 21 and older. Call for details. Enjoy a nighttime adventure at the Suffolk County Environmental Center. Bring a flashlight and venture into the dark on New Year’s Eve to explore the habits of some of Long Island’s unusual nocturnal animals! All ages welcome. The New Year’s Eve Party aboard the Skyline Princess has become one of the most popular party cruises in New York. The gala includes a five-hour cruise through New York Harbor viewing the Manhattan skyline and the Statue of Liberty, a premium open bar, a delicious gourmet dinner buffet, DJ entertainment all night, the best view of Macy’s fireworks, and free parking across the street. This is a great way to spend the New Year. Book now—this event ALWAYS SELLS OUT! Here’s Some Fun-Filled, Kid-Friendly Events and Activities! Celebrate New Year's Eve family style at Atlantis Marine World Aquarium! Bring the kids and join Atlantis Marine World for their annual Fishes & Wishes Celebration! There will be plenty of great food and great fun, plus entertainment you won't find anywhere else. Kids are invited to a winter wonderland, which includes unlimited submarine simulator rides, animal encounters, ray bay feeding, face painting, crafts, and much more! The celebration includes: champagne and sparkling cider greeting, cocktail hour, dinner buffet (beer and wine included), dessert and ice cream bar, mock-midnight champagne and cider toast (10:30pm) and live DJ and light show. Add $159 to the ticket price, and stay the night at the brand-new Hyatt Place East End & Resort Marina. The package includes: hotel stay, a bottle of champagne , complimentary breakfast, overnight parking and access to the indoor swimming pool and fitness center. Bring the kids for a LUCKY 13 New Year’s party! They’ll learn the tradition behind all things lucky and enjoy fun activities, a dance party and a ball drop. Welcome 2013 at the Long Island Children’s Museum! All ages. Free with museum admission. Celebrate the New Year at the Shipwreck Tavern for a family New Year’s party from 1 pm to 3 pm or at Beaches and Cream for a New Year’s Eve Ice Cream Party from 12:30 pm to 2 pm. A winter wonderland awaits you with champagne for adults and cider for kids and make-your-own sundaes. Meet and greet with holiday characters. Enjoy Santa's toy factory fun house, holiday express train ride and yo ho holiday light show at night at no additional charge. Includes skate rental, unlimited pizza, unlimited soda, light rope necklace, ten game tokens, chips and pretzels and a countdown to the New Year! Celebrate the New Year with your children at Safari Adventure, the only children’s entertainment center in Suffolk County with all the activities that kids enjoy most! Kids can climb, slide and traverse through ‘Kilimanjaro’, a four-level playground; jump and play in enormous bouncers or be challenged by more than 40 interactive video/redemption games. Noise makers, hats, glow sticks & necklaces, music, dancing, dessert and balloon drop at “midnight” (7:15 pm)! Enjoy Child & Family Value Meal Deals at the Lion’s Den Café. No reservations necessary, but call for guaranteed admission. Note: Adults must stay with children! For only $75 extra your group will enjoy a private V.I.P. party room with a dedicated party guide, New Years décor and a personalized New Year’s 2013 sheet cake. Minimum 10 children, maximum 30 children. Kids 12 & under: $21 per person. Some restrictions may apply. Tax and gratuity are not included. Call for details. check out our Nearby NYC December 31, 2012 Events! And be sure to take the LIRR and forget about driving! General Admission: $150 +$15 fee. General Admission $75 +$8 fee. Located just blocks from the ball drop, this 90,000-square-foot venue is dramatically themed to represent New York City’s historic times and places-- from Chinatown to Central Park! Photographer to capture all the fun! 6 Floors of Custom Night Clubs, Movies, Family Fun, & 7 HR Open Bar! FAMILY ENTERTAINMENT All Ages Level 4 (Under 21 accompanied and over 21) is for families and friends. Festivities include DJs, dancing and movies! FOR FAMILIES & GUESTS 13 AND UP! Families can enjoy a super PG13 New Year’s Eve! OPEN BAR GALA (Levels 4 & 5) for Adults Only (FOR ALL GUESTS 21 & Over): FOR ALL GUEST 21 & UP the party includes premium open bar service, mini buffet stations serving hors d’oeuvres, NYE party favors, champagne toast at midnight, world renowned DJ spinning featuring hip–hop, dance, rock, 80s and top 40, live NYE 2013 countdown and movies too! TOP OF THE WORLD (Level 6) is the VIP Room for the Open Bar event. Only "Top of the World", "Premier Terrace" and "Best View of the Ball Drop Live" ticketholders will be granted access to this level. View the crowds below and the world famous Waterford crystal Time Square Ball Drop along with the live countdown to 2013! 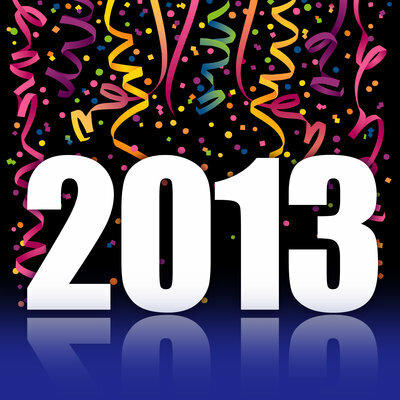 Subject: LongIsland.com - Your Name sent you Article details of "Happy 2013! Ringing in the New Year on Long Island!"